Scott & Jamie Burch have lost their dear son, Ryder, to suicide on November 30, 2018. He was just 25 years old. The Burch family would never ask for financial support on their own, but many have inquired as to what they can do to help, which has prompted the creation of this gofundme page by their community of coworkers and friends. 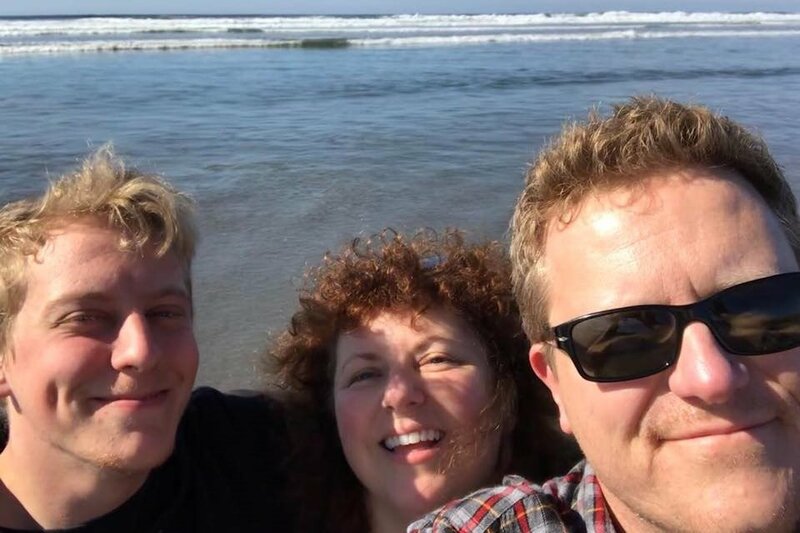 After years of supporting and assisting their son with his mental illness, Scott & Jamie are left heart-broken but have also inherited Ryder’s substantial medical and educational debt. Please consider helping this family in this small way, with a donation in any amount. If you or someone you know needs help call the suicide hotline 1-800-273-8255. Trained crisis workers are available to talk 24 hours a day, 7 days a week. "Hello all – this is Scott, Ryder’s father. It is with a very heavy heart that I have to tell you all that Ryder, our sweet, beautiful, troubled boy, took his own life yesterday. I’m doing this here, because I’ve never met most of you, and I want you all to know. Most of you are aware of Ryder’s struggles with mental illness. These are fairly current events. He was one of the happiest kids I’ve ever met, from his youth through high school. He studied are at SFUAD in New Mexico, and was then accepted into SCAD in Georgia. Those years are when his problems became apparent. He had a rather severe psychotic episode this past April, and things were progressively worse after that, to the point that he could not continue. He left a note that I will not share, but it essentially said that he had decided to do this some time ago. He gave no warning signs it was coming. The night before, he cooked us all dinner. He walked outside to see the sunset with us. We watched a movie together. He knew he would be breaking our hearts. But as he said in the letter “its not about you, it’s about me.” He was tired of his clouded mind and saw no alternative. There will be no service. His friends and family are scattered literally around the planet. He will be cremated and we’ll keep his ashes. We have access to his Facebook account and will be monitoring it for quite a while. Pleas share any memories with us. We are devastated and need others who loved him to let us know. Goodbye my sweet boy. You’ve left an enormous hole in our live and broken our hearts. We hope you found the peace you were looking for."